One of the big questions I've recently been asking myself is ‘What do I wish my students to have achieved by the end of their secondary education?’ I obviously want them to speak decent English - preferably at the B2 level (intermediate or 'FCE' level). I'm well aware of the fact that some of my students will never reach this aim but I'll do my best anyway. But what does speaking decent English actually mean? Apart from the obvious aspects, such as being able to understand and produce coherent and cohesive texts, either written or spoken, I hope my students will be able to use the language for what language is - to express one's own ideas. By their own ideas I primarily mean the results of their critical thinking skills. I've experience several times in my teaching career that to be able to express their critical thinking outcomes, the student doesn't necessarily have to be a very advanced user of an L2. Some students, even the youngest ones, think critically and strive to express their conclusions no matter how good or bad their English is. Other students, on the other hand, only repeat what they have learnt by heart or what other people said, even though they do so in flawless English. This prompts another question: what is a more valuable outcome for me as an EFL teacher? What should I focus on then? I can't answer the previous question without asking another question. Can critical thinking skills be taught at all? Well, I'd say that to be able to teach cookery, the instructor should know what spice is appropriate for which meal. Even better, the instructor should be a keen chef. Analogically, to be able to teach critical thinking skills, the teacher needs to have a certain character trait - some call it critical spirit. However, not only keen chefs teach cookery, and like many students, many teachers lack this critical spirit. By publishing this image, Dace evoked people's curiosity and made them use their critical thinking skills. The thing is that Dace invited all the members of the Facebook group to try to guess what it is before she'd give the answer. People immediately started guessing and came up with interesting answers such ice, frozen mud, chocolate, water waves, hair, frosted window glass, cake mix, close-up of part of an oil painting, ostrich feather covered in plastic, etc. I found it really intriguing and thought it would be a great activity promoting critical thinking skills. When looking at the image, one will certainly recall something they already saw at some point in the past. 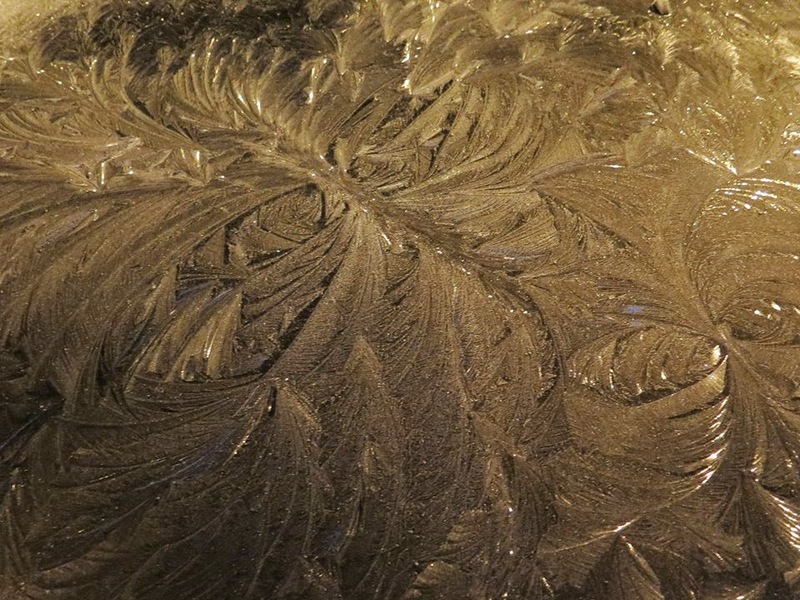 During close observation, which is one of the prerequisites of good critical thinking skills, the image will evoke hidden memories of frozen surfaces or magnetic fields, for example. Phrases like this reminds me of ... this looks like (as if though) ...I once saw a similar image when.... this image evokes memories of ... come in handy here. But this is just the first step. One has to go further and deeper. What the image reminds us of is just our personal belief which has nothing to do with the ultimate truth. However, while walking with the students towards the truth, side by side, we mustn't forget that the process of searching is as valuable as the ultimate outcome - the truth itself. At this moment I don't know yet what the picture really is but I can use the power of induction to solve the problem. At this stage the students might need and use plenty of functional language to express probability: this could be .... but/ this can't be because/this may be ...however/ ... thus this must be .... This activity will work best if it's done in a group, or at least in a pair. Thus the students will have an opportunity to practise the skill of argumentation. This means listening to each other carefully, not sounding dogmatic, arguing instead of disagreeing, not repeating the same argument again and again, acknowledging the other person's opinion and elaborating on it, etc. The students can also carry out a small investigation; look for similar images on the internet and compare and contrast them with the original one. They can ask other people outside the class and report the results of the interviews. More useful language items will be needed to do this. They can also do experiments - observe water waves, study objects, such as feathers, or materials, such as chocolate or cake mix and look what happens if they let them freeze. They can report their findings in class and again, decide whose finding is the most plausible one.